The Austrian Wine Marketing Board is about to kick-off the first-ever Austrian Wine Retail Weeks, May 8 – June 9, in over 100 wine shops around the country. Join the coast-to-coast celebration of Austrian Wines featuring the indigenous grapes Grüner Veltliner, Blaufränkisch, and more, as well as a number of tastings, discounts, and promotional incentives to Bring Culture Home. A special kick-off period on May 8 – 16 will feature loads of tastings and events in key markets around the country. Members of the trade will have the opportunity to participate in special wine and food pairing seminars and kick-off events as well. During this time, wine bars and restaurants featuring Austrian wines will also be highlighted as “homes away from home.” Additional details of these accounts and specials can be found on their website. Additional, trade-focused events can also be found on the website. There are many events happening throughout the duration of the promotion across the country. Additional event details and dates can be found on www.AustrianWineUSA.com/special-events. 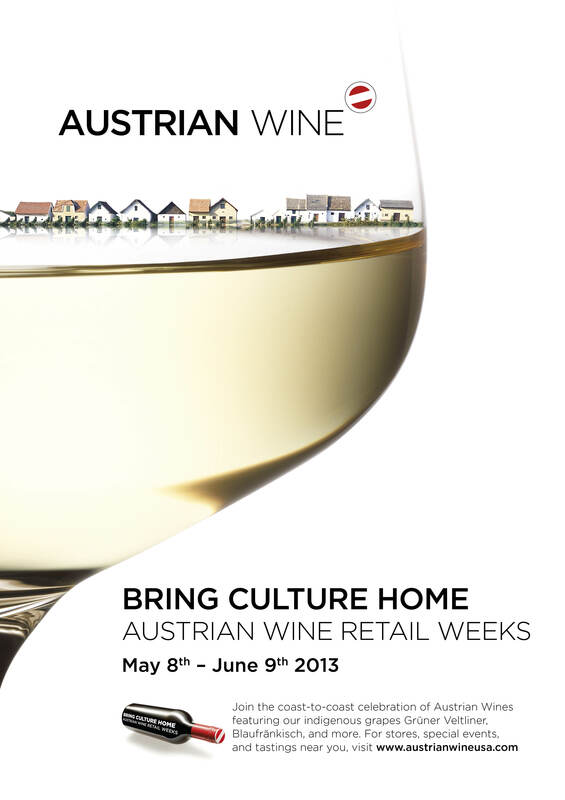 For more information on Austrian Wine Retail Weeks, please visit www.AustrianWineUSA.com/Retail-Weeks.